There aren’t many things that can throw productivity out the window as quickly as a dead battery can. 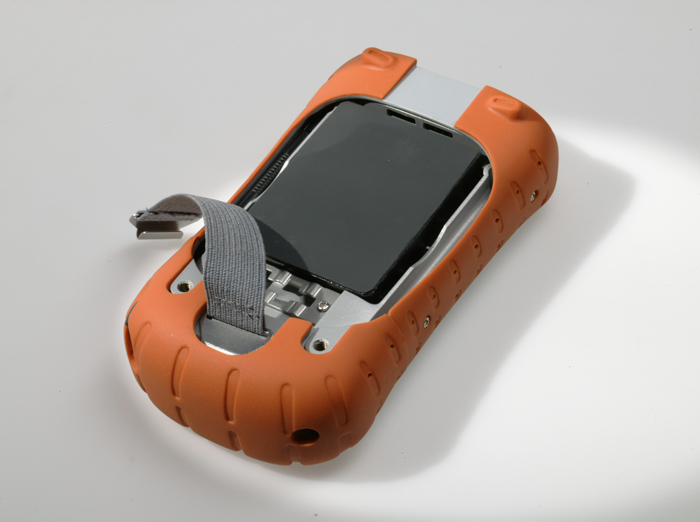 For this reason, Juniper Systems rugged handhelds use batteries that are made to last a full workday (8-10 hours). However, as with any battery, certain factors such as environmental conditions, the type of application, and the number of accessory devices being powered by the handheld can affect the battery life. Below, I have listed 5 easy tips for you to extend battery life as much as possible. Any accessories and functions running on your handheld will drain your battery faster. To extend battery life, cut back on power usage by disabling any accessories and functions that you are not using. For accessories and functions you are using, adjust the settings so that they will disable when not in use. You can adjust timers in the operating system settings (control panel) to automatically turn off backlights, stop communications, and suspend (turn off) the device after a short period of inactivity. FYI: the backlight is the #1 source of power drainage, so if you’re leaving this on between uses, your battery life will show the effects. Only use batteries purchased through Juniper Systems or an authorized product reseller in order to extend battery life. We just can’t warrant how well a battery pack purchased through a third-party will function in our rugged handhelds. You can purchase batteries from our online store, from a product reseller, or simply by calling us at 435-753-1881. Always charge the battery pack at temperatures between 32°F and 104°F (0°C and 40°C). The battery pack will not charge in temperatures outside of this range. To extend battery life, leave the handheld fully charged and placed on the charger during periods of inactivity like nights and weekends. If this is not possible, first charge the battery completely, save the system, and then remove the battery from the handheld. Periodically refresh your battery by fully discharging it and charging it several times. Allowing the battery to “reboot” will help extend battery life. If you have more questions about battery life, feel free to ask them in the comments below. You can also contact us or give us a call at 435-753-1881 for more information. Based on years of experience, I can absolutely second the advice to only get batteries directly from the vendor. That used to be a given, but with eBay and all, it’s all too tempting to go for less expensive replacement batteries. Not too long ago, many of them were actually decent deals. These days, you’re definitely taking a chance, with some batteries working well, and others very poorly, or not at all. With a professional tool like a Juniper Systems handheld, I’d never rely on anything but an authorized battery directly from Juniper or one of the official resellers. How often is once in a while for #5? For example, if you are using your handheld pretty regularly for 3 months, would you refresh the battery during this time? Or is this something to try when your battery doesn’t seem to hold a charge as long as it used to? If your battery seems like it’s not holding a full charge, then I would definitely try a refresh. However, it would also be a good idea to refresh your battery maybe once or twice during those regular three months of use. Is there a life span for Mesa type batteries? As any other rechargeable battery, seems the capacity of some batteries starts to diminish. And regarding #5, when you advice “several times to charge and drain the battery”, what would you suggest is several times? The Mesa uses a high-end lithium ion battery that, if cared for properly, will last anywhere between 300-900 days of use before any decrease in capacity is noticed. The low end would represent very heavy use, completely draining and recharging the battery on a daily basis, while the upper end represents more moderate use, only depleting the battery every few days before recharging. Even after 300-900 days, the battery will still perform acceptably for most users, but the capacity may be somewhat diminished. To recalibrate the battery, we recommend to cycle the battery twice (complete discharge, charge, complete discharge, charge).